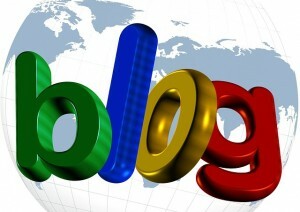 Why blogging is important for your website. Ever wondered why blogging is important for your website and your SEO? Watch this short video and learn more about blogging with a couple of examples of small businesses doing well on Google because of their blogs. I wanted to share just a couple of minutes to tell you a bit about why blogging is important from a web design perspective. It’s quite straightforward really in that Google is looking for websites that are dynamic. Google are looking for websites that are regularly updated and are regularly promoted out to the wider social media, which means that you’re going to have to have content which is regularly going onto your website. Now, a couple of quick pointers on blogging: If you’re going to commit to doing it, do it regularly. If you say you can do it three times a month, make sure you do it three times a month. If you’re inconsistent, the boxes that you tick with Google’s search engine algorithms are also going to be inconsistent. But also, because it’s competitive, you’re going to be up against companies that can do blogging on a very regular basis. So, you do need to think, if I’m going to blog once a week, make an appointment with yourself. Do it once a week without fail. Google will notice and every single time you add something to your content, you’ll tick another box, you’ll get more SEO points in the search engines, and it will only be good for your website. And, when we build a website for clients, we encourage our clients to blog. And, if they say they don’t want to blog, we always ask why because it is a key marketing strand for your website. But, anyway, I wanted just to share a couple of quick stories really about clients of mine who blog. I want to talk about Deb who is an interior designer. Now, she’s very good at what she does. And she, from a standing start, with no clients, no website credibility, brand new website, brand new domain, in six months got to the first page of Google for her search terms with no advertising spent, purely on the strength of her blog. What she did is she just wrote about stuff to do with her industry, designs and stuff that she was working on, and designs that she’s likes. She went to Venice for a week and took loads of photographs and when she came back she wrote about it on her blog, she put stuff up there. But, she was doing it very, very regularly. Then, she was also tweeting out those blogposts as she was using the blog to create the content, using Twitter to point everybody back to that content. It worked so well that Deb usually places second or third in worldwide rankings for her search terms purely on the strength of her blog. She’s up against bigger, more well-established competition, but she beats them all purely because she’s more consistent with her blogging. Another one of my clients is a small law firm in Leicester. Again, they’re second or third usually in the Google rankings for their search terms, even though they’re up against much bigger competition who often have marketing departments and marketing staff. It’s purely based on the fact that they write blogposts very regularly, usually three or four a month, sometimes six or seven, but a minimum once a week on average. It just means that, even against companies that have got hundreds of thousands of pounds to spend on a marketing budget, including staff, including a web presence and SEO services, it means that you can still compete on a worldwide global Google search. There’s a couple of keys really. It’s to make sure that you have a good content management system and WordPress is the best for blogging. But, also, make sure that you are consistent. If you’re going to commit to blogging once a week, you’ve got to commit to blogging once a week. It’s pointless doing two this month, and then none for the next few months, and then another five for that month. You have to be consistent. Every time Google comes back and sees something new on your website that’s related to your topic, they’ll give you extra SEO points in their search rankings for your website and for that particular blogpost. And that’s why blogging is important for your website success. Our Buzz Website design has got a blog on it and we put something up a couple of times a month typically. From this we do very well in the search engines, even though our field is probably more competitive than most. So, you don’t even have to go mad, you just need to be consistent. Hope that helps and we’d love to hear about your blogging experiences in the comments below and if you’d like some help getting to grips with blogging then give us a call on 0116 3552194.